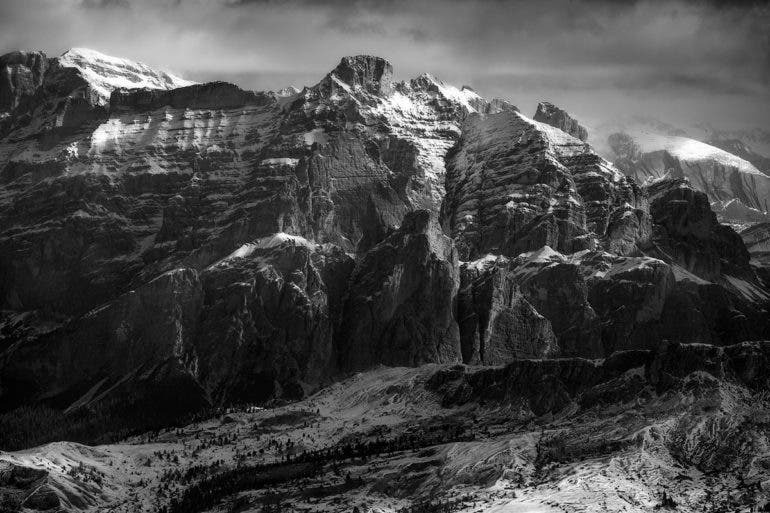 Mountains inspire landscape photographers to tell their story in many ways, as Poraj-based Przemyslaw Kruk shows us in another impressive set of monochrome landscapes. In a previous feature, we’ve seen him showcase the mystic beauty of the snow-capped trails of the Tatra Mountains. 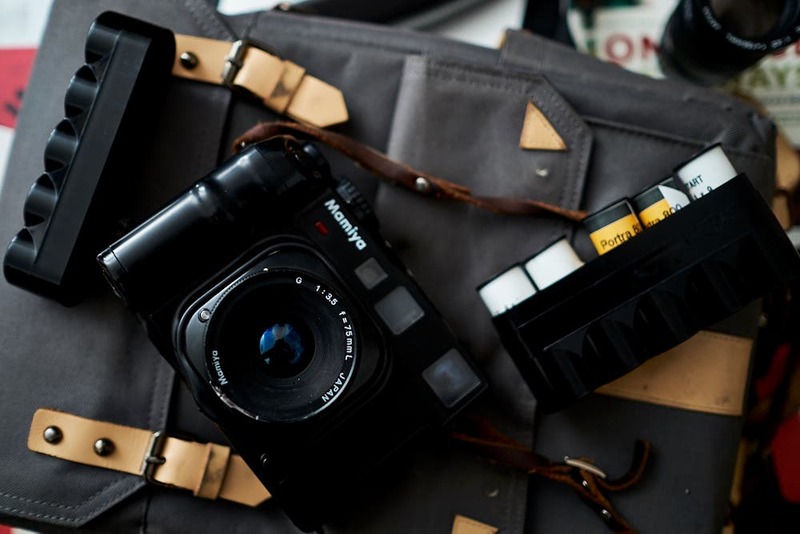 This time, he reveals to us the powerful allure photographers like himself are drawn to capture when faced with the Dolomites. 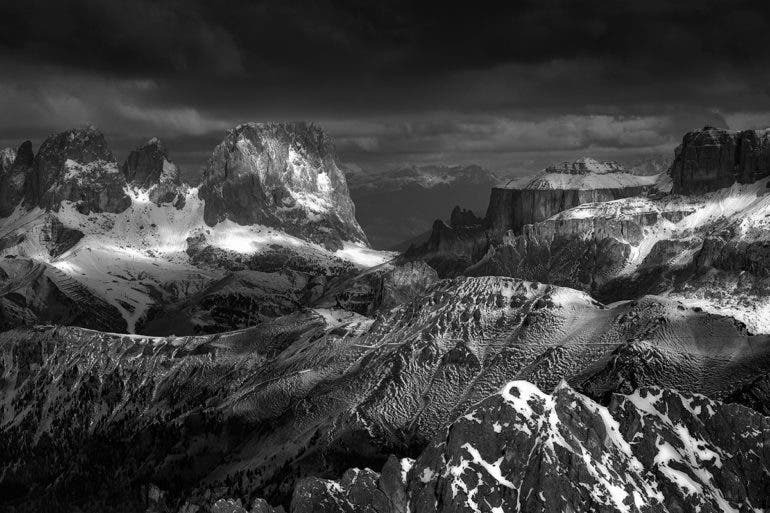 If black and white photography made the moody and misty imagery of the Tatra mountains even more dramatic in Przemyslaw’s earlier set, it revealed the impressive details of the Dolomites with stunning clarity in this most recent collection. 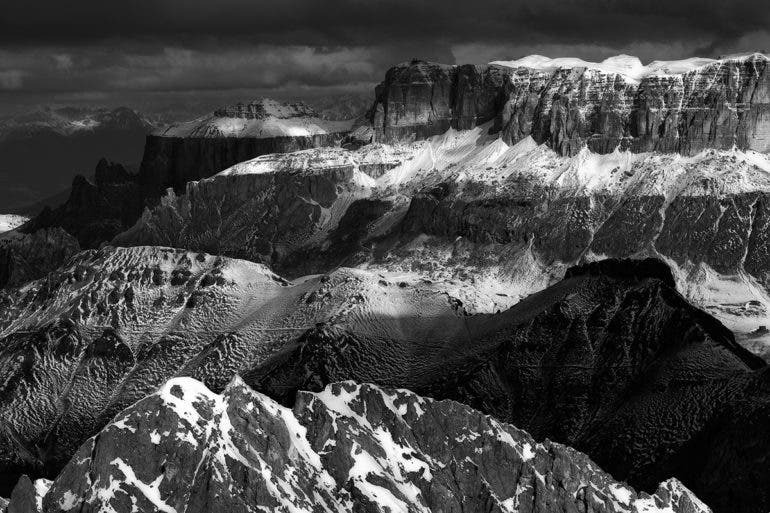 Aptly titled The Power of Mountains, this new series of monochrome images shows us the impressive variety of features of the famous mountain range in northeastern Italy. 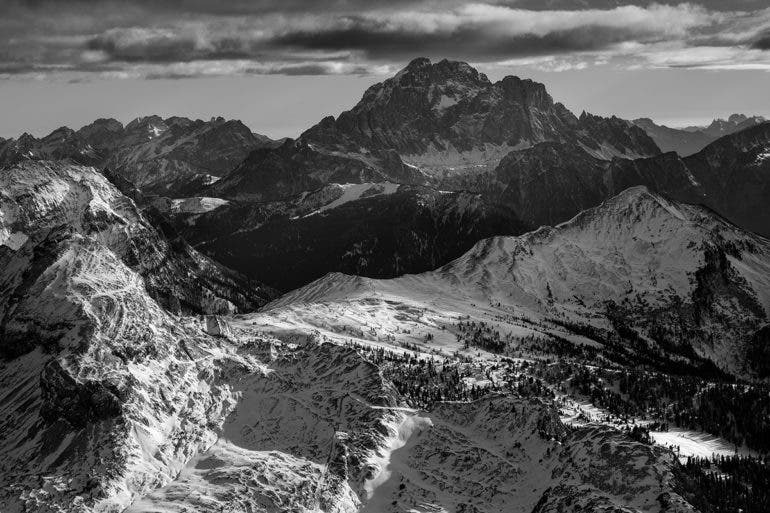 Jagged peaks covered in snow, imposing natural structures in fascinating shapes and form, and diverse textures across different areas — all of these make the Dolomites one of the most inspiring and breath-taking destinations for landscape photography. 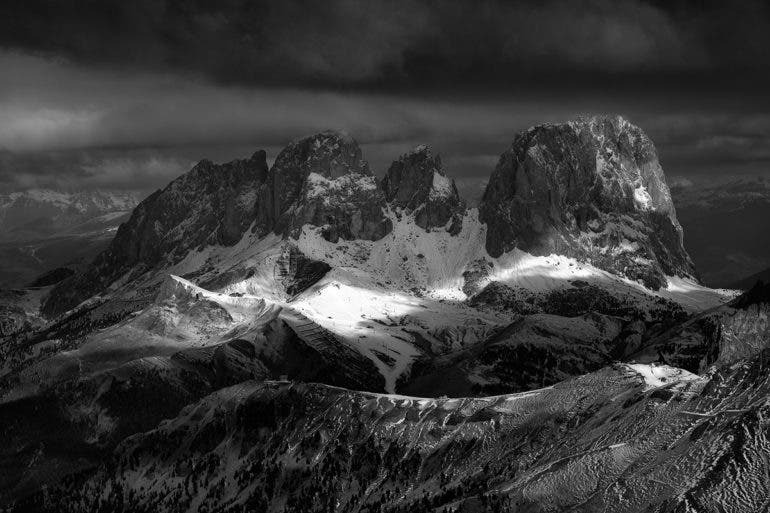 There’s more than one way to capture the powerful beauty of a location such as the Dolomites, as other photographers we’ve featured in the past show us. Andrea Securo found the silhouettes of its peaks as great foreground to frame the Milky Way against the night sky. 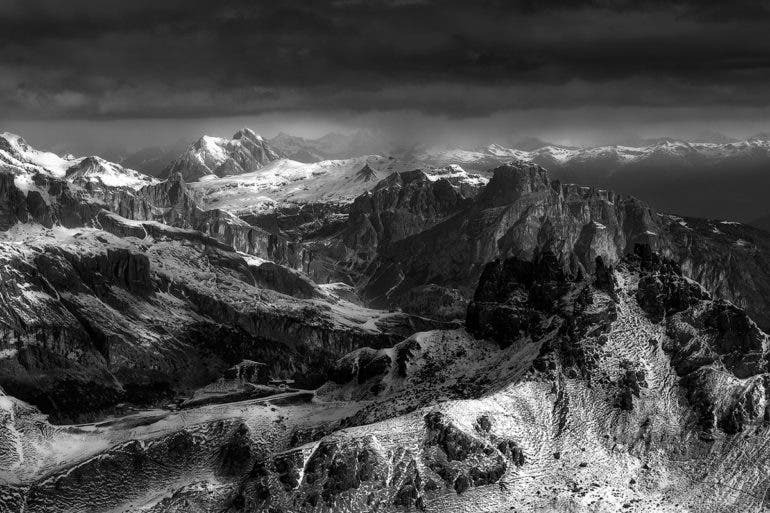 Andreas Levers made use of other available natural features and landmarks surrounding the Dolomites to show a wide range of views and perspectives. 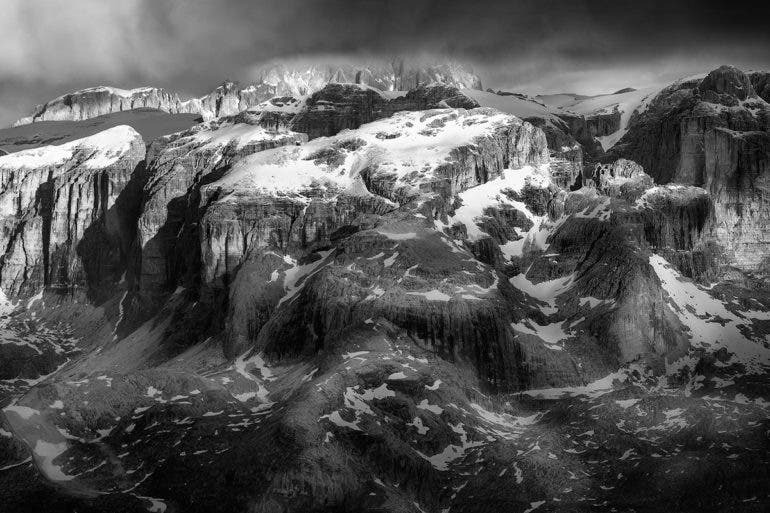 Along with Przemyslaw’s impressively detailed black and white snaps, all these landscape photos prove that in the grandeur of the mountains lies a certain character that inspires photographers to capture them in their own way. 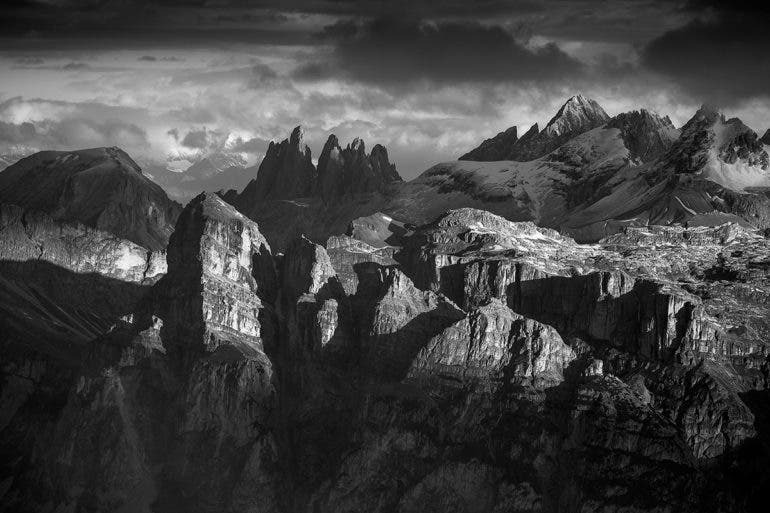 If you liked browsing through Przemyslaw Kruk’s powerful monochromes of the Dolomites, you’ll also certainly enjoy checking out the rest of his landscape work on his Behance portfolio.